Cameron Park, CA this lovely community of around 18,000 residents in El Dorado County. Nestled in the foothills of the Sierra Nevada Mountains, Cameron Park can be found off of the Lincoln Highway (Hwy 50) between Shingle Springs and El Dorado Hills. Other nearby communities include Rescue, and Gold River. The community's strategic location along major travel arteries makes Cameron Park homes for sale an ideal home base for commuters. Just 12 miles southwest of Placerville, and 13 miles to Folsom, professionals enjoy shorter trips to work, while living a higher quality of life in more spacious living options than their urban counterparts. 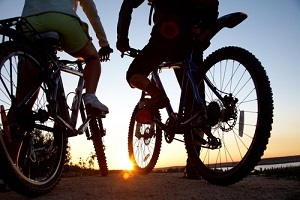 Cameron Park real estate is also an attractive community for outdoor enthusiasts. Ample recreational opportunities like hiking and water sports keep residents busy 365 days a week. Due to its many rolling hills and hundreds of riding trails, Cameron Park, CA is also a haven for mountain bikers. Golf fans can find an award winning course at Cameron Park Country Club, and take advantage of tennis courts, heated pool, and dining room. Plenty of other facilities are available for public use including a shopping centers, Cameron Park Lake, and Hacienda Park. See all Cameron Park homes for sale below or learn more about Cameron Park real estate, and the amenities that make this such a great place to live in El Dorado County. Looking for Cameron Park real estate in CA? See all Cameron Park homes for sale including area info & neighborhood amenities. Call Rick Delgado at (916) 226-1136 or contact online for more info. Cameron Park real estate offers plenty of different options for homebuyers of all types. For the most part, you can expect to find larger single-family homes built on larger than average lots, in addition to condos, and townhomes. If you enjoy a little elbow room, Cameron Park also has a good number of acreages and ranches on the market. Prefer to start from scratch? Homebuyers who hope to build their dream home from scratch have many vacant lots to choose from.